Went on a nice wooded hike in search of new wildflowers on a perfect mid 70s afternoon. 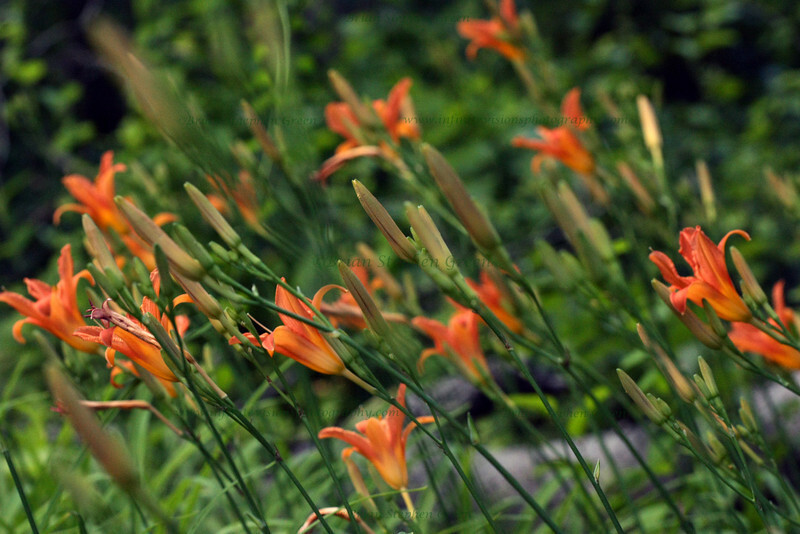 Among the finds was this wonderful shady patch of blooming Day Lilies. Many thanks to everyone for the generous comments on yesterdays Iguana. Have a fantastic day! Really like to see these stretching toward the sky.. 70s... Sounds nice..
Oh, Brian...This is so pretty. I love the sway. The tiger lillies are sprouting wildly -- just asking to be photographed. I like the DOF here. Lovely comp and color -- beautiful shot! Great angle they are all leaning at. Beautiful shot.